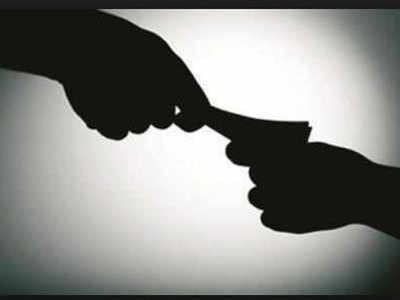 Police in Rubavu District is holding a 42-year-old man for allegedly trying to bribe a police officer on duty to have his vehicle wrongly approved to have passed the vehicle inspection exercise. It is alleged that Francois Musafiri the suspect booked for the inspection exercise but failed to pass and receive the vehicle fitness certificate issued after passing the tests. Chief Inspector of Police (CIP) Innocent Gasasira, the western region police spokesperson explained that the driver tried to unlawfully influence the police officer by offering him Rwf 10.000. “He was arrested and the money seized, to be handed over to the Rwanda Investigations Bureau RIB), for further action,” he explained. “We will continue carrying out enforcement to ensure that motorists follow the law and traffic rules, as well as prevent driving under the influence of alcohol, motor vehicle roadworthiness among others” he added. He said Musafiri who is currently held facilitate investigations at Gisenyi Police station and will be charged under anti-corruption laws. When found guilty, under article four of the law, the suspect would serve a jail sentence of between five to seven years. He advised drivers caught in different offenses to pay fine instead of bribing officers which is a much more serious offense. He noted that by trying to bribe officers, one committing a crime but also “exposing lives of road users at high risk by driving mechanically unfit motor vehicles,” he said.